How to Make the BEST Biscuits. A few simple ingredients, gently mixed together to create perfect layers, great for slathering extra butter, honey, jam, and preserves. 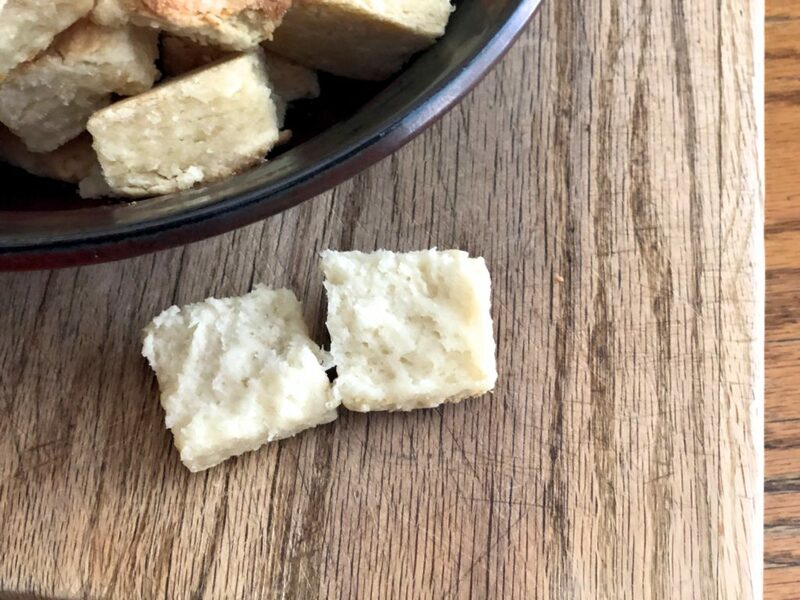 I make tiny biscuits — using a two inch square cutter — two bite biscuits, if you will! Use gentle fingers, and snap your butter into the flour. 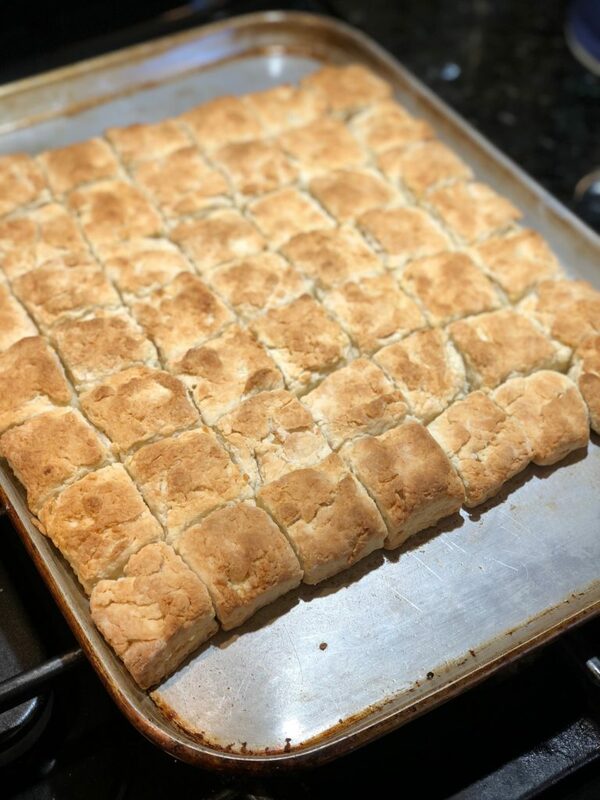 Maybe someday I’ll share a video of how I snap my biscuits together…. 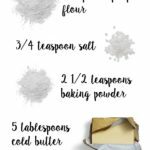 Here’s the printable recipe, and all you need to know to get perfect, fluffy, homemade biscuits every time! Simple baking powder biscuits, gently kneaded into the fluffiest biscuits, ever! In a large mixing bowl, sift flour, salt, and baking powder together. Add your cold butter, and using a gentle "snapping" motion, cut butter into flour until small pieces form. Add the cold buttermilk, and fold dough on itself over and over until combined. Dump out onto a floured work surface, and press out until 1/2 inch thick. Cut into 2" squares, placing on sheet tray. Make sure the biscuits touch each other. Bake at 450˚ until golden brown, about 15 minutes, depending on your oven. I like to set my timer for 12 minutes, then starting peeking. Serve hot out of the oven with plenty of extra butter, jam, honey, preserves, etc! If you don't have buttermilk on hand, add a splash of white vinegar, and wait a few minutes. If you're feeling frisky, you can coat the biscuits with melted butter before you bake them. You can freeze the biscuits, before you bake them. I place them 1" apart on a sheet tray and flash freeze. Then, dump into a freezer safe bag and pull out however many I need at the time. 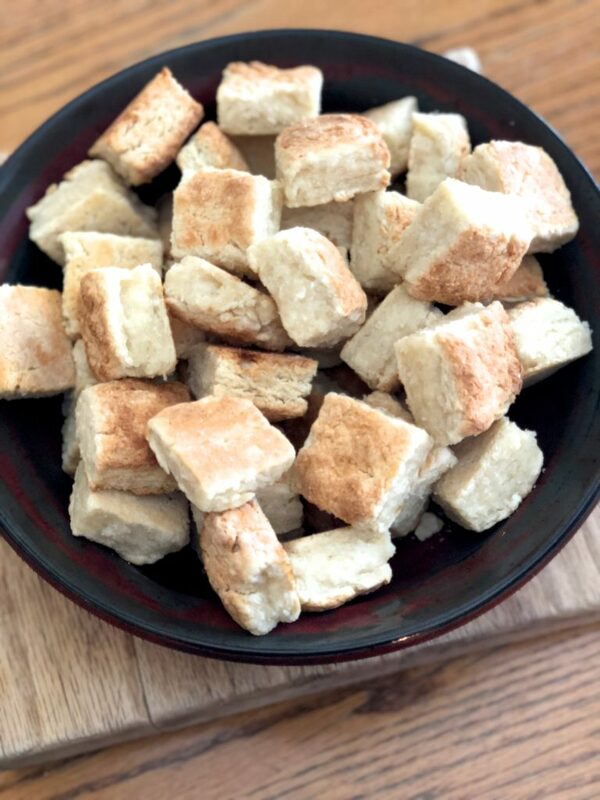 Bake frozen biscuits the same way as above. These are the perfect addition to any breakfast casserole, like my Keto Egg Bake…. Or, on the side for any dinner. This is the same recipe I used in my Biscuit Bar I hosted a couple years ago… what a fun day! 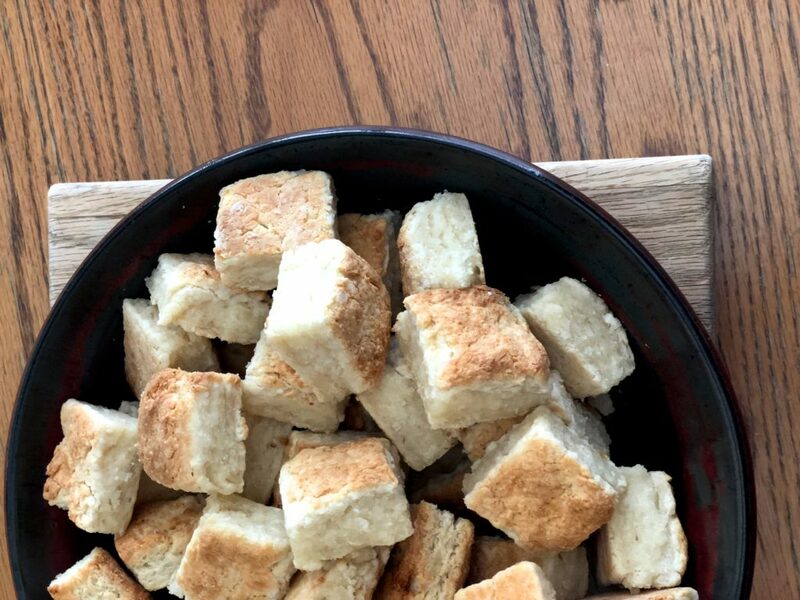 You can save this recipe to your favorite Breakfast Pinterest board! 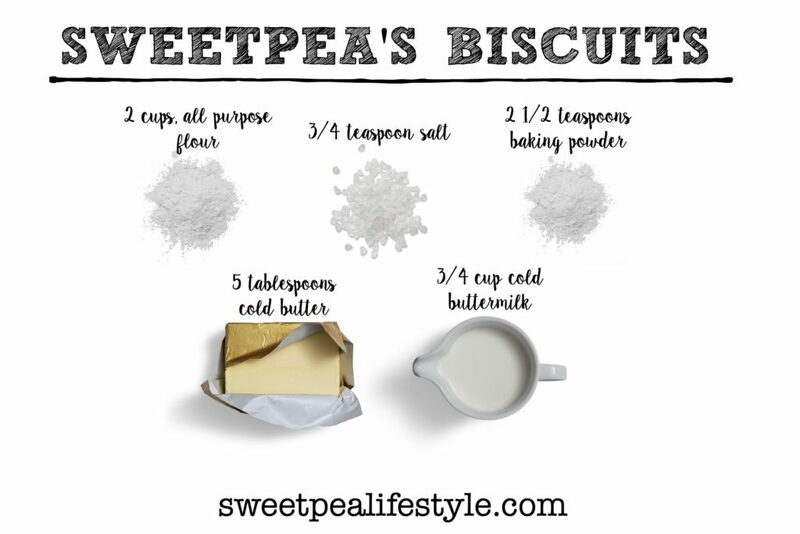 Do you have a tried and true biscuit recipe!? I remember biscuits being the first thing I learned to make in home ec and I loved making them! So yummy. I’m going to have to make these asap to go with my homemade preserves.